Your wedding is one of the most important events in your life. It requires an exorbitant amount of planning and diligence. Sometimes it can be pretty straightforward in some aspects, and in others, incredibly challenging. One of the more imperative elements of your wedding is the ceremony, and thus, the officiant in which you choose to ordain the marriage. The person in which you choose must carry themselves with professionalism and dignity as they carry an enormous amount of influence in relation to the tone of the ceremony. 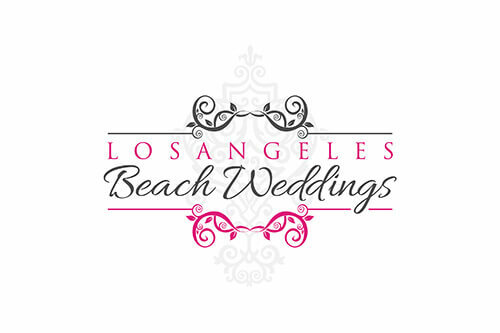 Los Angeles has your back in regards to providing you with plenty of options at your disposal for the role of officiant. Below is a guide that should help you out. For the first step, you should research marriage laws in California. You will discover that the laws are pretty straightforward and relaxed. Officiants do not need to procure a letter of good standing or a referral to a particular ministry group like some other states. You may want to research specific laws in Los Angeles county, but they should reflect the state's laws pretty closely. The first option that is gaining a lot of popularity is choosing a friend or family member. If you are looking for a specific personal touch, this will definitely be the road you want to go down. Be cautious though, as this option may appear deceiving if the person is not fully capable of handling the duties, there is more to being an officiant than meets the eye. Not only will you be cutting the costs of an officiant, but you will have an officiant you are already predisposed to, and most likely trust enough to handle the duties. Just make sure this person will handle the duties with all due respect and dignity to you and your guests, no inappropriate jokes need to be had unless, of course, that is something you wish to have at your wedding. If you choose this route, your loved one can become an ordained minister on the internet via the Universal Church of Life, or if applicable by state, you can gain a form that temporarily permits you official status for the sake of the wedding. Another secular option is to hire a Justice of the Peace, which is a court official. You can obtain a list of these officials at your local county clerk's office where you may also get your marriage license. It is also resourceful to search phone books, and online wedding directories, especially if the directories provide any useful information on a candidate such as reviews and bridal testimonials, but in particular, their contact information. You will want commence with officials closest to you or your wedding in proximity. Get a good feel of each candidate's personality, and ask if they are available to begin with. If you are going to plan a religious ceremony, this may be really straightforward for you. If you don't already have a family clergymen and a church venue, then you will want to search for local houses of worship which has beliefs that suits your denomination. Schedule interviews with each head clergymen, and discuss your wedding, and the church's specific religious rules regarding marriage ceremonies. If you do not like the location, or the cleric, or a combination of both, you should not consider this person. The chief factor to remember is that you really ought to be completely comfortable with this person that you choose to be your officiant. Do not go forward with a candidate if you foresee this candidate becoming an issue.